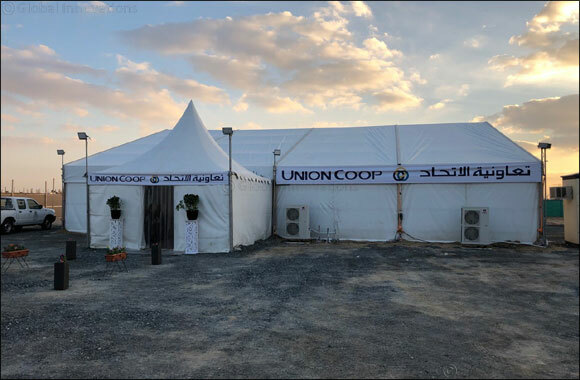 Dubai, UAE, November 28, 2018: Retail Pioneer ‘Union Coop’ creates history by opening its ‘Winter Camp’ in Al Tayy area within 48 hours, to delight campers and consumers in the area. The temporary branch was inaugurated by Mr. Harib Mohammed Bin Thani, Director of Operations Division, in presence of Managers and staffs from several division and branches. This branch will operate from 12 noon until 12 midnight on weekdays, and till 2 AM on weekends until April 10th 2019.